Spice is a certified jill of all trades. 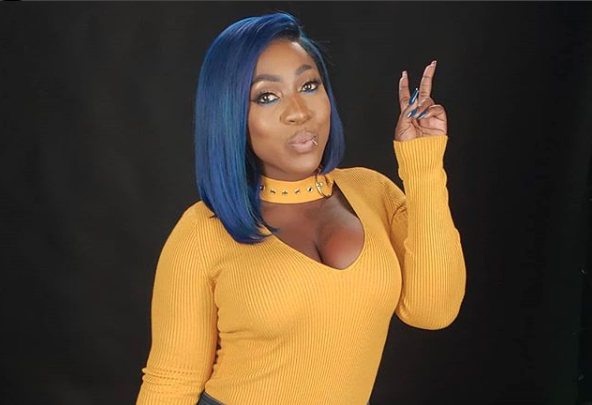 Following a messy week filled with drama over her new boyfriend, the Dancehall entertainer took some time out her busy schedule to give her fans some advice. The “Cool It” deejay uploaded a photo over the weekend while she was out grocery shopping, “My morning is like this “Spice a buy some spice” 😂🤣😂,” she wrote. Spice then used the opportunity to offer some motivation to her over 1.7 million followers, “Enjoy your day, live , love, laugh , happiness is my key. Once up on a time i use to drink just hot water for my tea cause there was not even sugar much less a tea bag. Today i’m at the supermarket i can buy what ever i want to make my breakfast. Never give up, God may be slow but he’s sure. Mi a go cook up mi nice mackerel run dung with dumpling who want some😝 Have a blessed day💙💙💙,” she added.